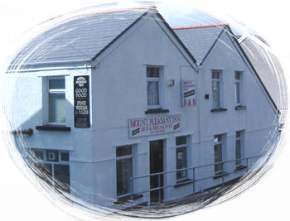 Merthyr Tydfil accommodation in friendly Merthyr Tydfil hotels, B&B, Bed and Breakfast, homely Guest Houses, cosy Holiday Cottages, congenial Country Pubs and Inns, luxurious Country House Hotels and Caravan and Camping sites. 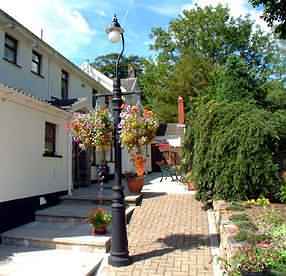 The Tregenna Hotel is a family run establishment set in Merthyr Tydfil at the foot of the Brecon Beacons. 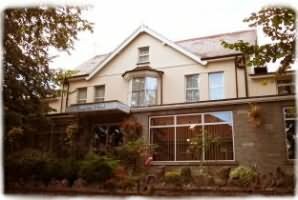 Our superb facilities, which include luxurious accommodation and a superb restaurant, means that although we are a 3 star hotel we offer the quality of a 4 star, making the Tregenna Hotel the ideal stopping point for both the business and holiday guest. Inside the hotel itself, there are 21 spacious bedrooms, each with en-suite facilities. We provide single and double rooms, while families are always welcome too. The Merthyr and Tydfil suites are our grandest rooms. They are ideal for special guests such as newlyweds, or indeed those of you who enjoy the finer things in life. Our restaurant is well regarded in the town, and visitors are welcome to dine here as well as hotel guests. We are often fully booked at weekends, especially for our Sunday Lunch. Irene & Steve welcome you to our Guest House. 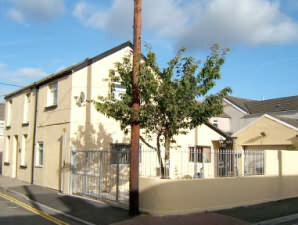 Our Guest House is situated in a quiet area of Aberdare with on site parking and only a minute walk from the town centre. Bus and rail links to Cardiff and surrounding valleys. 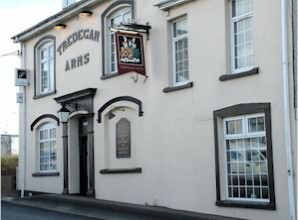 Aberdare is located 7 miles South of the Brecon Beacons National Park and 20 miles Northwest of Cardiff. All our rooms have tea/coffee making facilities and digital TV. Full English or continental breakfast provided or packed lunches. Rates are £20 per person per night. Breakfast optional at £3 per person. in the heart of the Brecon Beacons National Park. 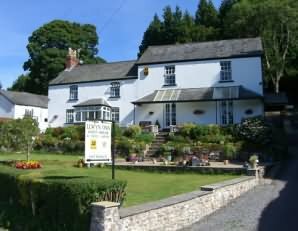 Llwyn Onn Guest House has been converted to a high 3 star hotel standard accommodation with 11 en suite bedrooms. The front bedrooms overlook the gardens and the lake whilst the back and ground floor bedrooms have woodland views. There is also private off road parking for our guests. The rooms at Llwyn Onn Guest House offer individual style and attention to detail. They offer amenities to a hotel standard, but with a homely feel. All our rooms are en suite with Satellite television and a hospitality tray, with the majority of rooms also having fridges. A traditional Welsh Breakfast is included in the price of your room and you can enjoy your food in our dining room. We also offer our guests the use of a communal lounge room, offering a peaceful retreat at the end of the day. All prices are inclusive of VAT and most major credit cards are accepted. 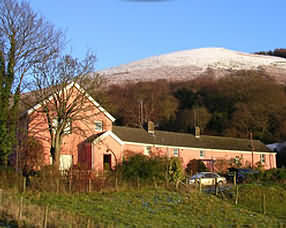 Set just outside the unspoilt village of Pontsticill, the farm has spectacular mountain views. Accommodation is of a high standard. Bed and breakfast is offered in the farmhouse – we have single, twin and double rooms. You can explore the Beacons straight from the front door: our farmland, which guests are welcome to explore, adjoins the open land of the National Park. There's plenty to see and do within easy reach of Penrhadw Farm. Travel on the Brecon Mountain Railway, visit the spectacular Dan-yr-Ogof caves, or explore Britain's industrial heritage at Blaenavon. Getting here is easy - and excellent road links make Penrhadw Farm the ideal base for exploring Mid and South Wales. Llwyn Iago Farmhouse (no longer a working farm) is known for its exceptionally good welcome, comfort and relaxing atmosphere and is perfect for a short break, set in a rural location overlooking the Cwm Darran Country Park area. Guests enjoy the best of both worlds, peace and quiet within easy driving distance of many leisure pursuits. All rooms en-suite with Doubles, Twin and Family available as well as Self Catering accommodation. Guests Sitting Room has the comfort of a Log Fire where Afternoon Tea is served. The Breakfast Room overlooks pleasant gardens (Breakfast served till late). All local produce used with traditional home cooking. Facilities incl. Hairdrier, Radio, Laundry Service and Hospitality Tray. Safe Parking within Grounds, and storage for sports equipment. 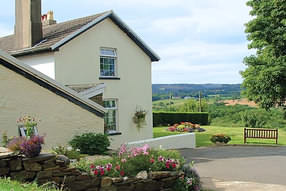 Wern Ganol Guest house is a 200 year old farmhouse and former collier managers house. Wern Ganol is an ideal location for business or pleasure, with local tourist attractions such as Caerphilly Castle, Llanciach Fawr, Castle Coch, and The Brecon Beacons National Park. Walkers and cyclists are catered for with the many cycle tracks and footpaths in the area. With 6 comfortable en suite rooms on ground level, a large private off road car park and a pub across the road serving good food, Wern Ganol provides home from home comfort with a warm, friendly atmosphere and a good breakfast. Wern Ganol has 6 comfortable rooms all ensuite with showers and all on ground level. Each room has a colour T.V., tea & coffee tray, radio/alarm clock and extra blankets. Guests have a private entrance with a key to the front door and the room. Rooms can be taken from 2.30 pm, and on the day of departure guests can stay on until 10.30 am. Winchfawr Lodge is popular for those seeking breaks in a region of Wales with officially recognised scenery and is steeped in history. Close to Merthyr Tydfil (the largest ironworks town in the world at the turn of the century), which has lots of historical places to visit. The Cardiff to Brecon “Taff Trail” is only 10 minues away with the Brecon Mountain Railway only 15 minutes away. For those looking for scenic trails or hill walking or even cycling this is your ideal place, with trails available to suit all levels of hiking or cycling. Winchfawr Lodge is a small family run business which is situated in a tranquil setting on the mountainside of the historic town of Merthyr Tydfil, within a well-maintained, landscaped grounds of the owners’ residence. The property boasts breathtaking panoramic views of Merthyr Tydfil (including Cyfarthfa Castle) and the Brecon Beacons National Park. The bungalow-style chalet accommodation is accessed via a short uphill driveway and onsite parking facilities are available just 2 metres from the chalet. Transport links to Merthyr Tydfil Town Centre (which is only 5 - 10 minutes away) are situated at the entrance of the property and an onsite taxi service is also available. The cottages have been sensitively converted and retains exposed beams and an open fireplace. The downstairs are ais open plan with a fully equiped kitchen, dining room table and chairs and a relaxed lounge area with twin sofas set around the fire. There is a TV, video and cd player in addition to a small library of books toys and videos. The kitchen which is fully fitted with cooker, microwave, fridge and seperate freezer and farmhouse table and chairs; The Lounge is has exposed beams, a log burning stove with two settees, TV VIdeo and CD player; The Bedroom has a kingsize bed, plus dressing table and wardrobe and sofa bed. The Bathroom leads off the main bedroom and has a bath, with shower over. The flat provides very spacious accomodation for two. There is space for a cot or additional guest beds if required. 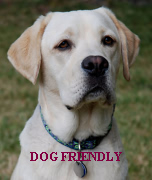 Dogs are allowed in Granary No1 and the Stable Loft, but we keep Granary No.2 pet free. Five superbly equipped holiday cottages, self cater or B&B suites at Pontsticill in the Southern valley of the Brecon Beacons, an ideal base for exploring Mid and South Wales. Accommodation is of a high standard. Our cottages, which each sleep six to eight/nine, are exceptionally spacious and well equipped,can be used as suites with full breakfast. Penyfan Cottage: this detached cottage has been designed to offer guests space, comfort and convenience. Upstairs are four bedrooms - two doubles, one with en-suite bath, shower and toliet, and two singles with extra futon provided if necessary. The main bathroom is fully tiled and has power shower, bath, washbasin, and loo. Crybin Cottage: this detached cottage has been designed to offer guests space, comfort and convenience. Upstairs are four bedrooms - two doubles, one with en-suite bath, shower and toliet, and two singles with extra futon provided if necessary. The main bathroom is fully tiled and has power shower, bath, washbasin, and toilet. Executive Houses: Within 4 miles of Penrhadw Farm are sited a number ofExecutive 4/5 bedroom and 2 bathroom executive houses which have each been furnished to a high standard and where individual needs can be catered for by Penrhadw Farm staff. We also have 3 one-bedroom furnished apartments available on a daily or weekly basis. Each has a bathroom, one double/twin bedroom, lounge with TV, dining area and small fitted kitchen. Parking for one car at rear. The apartments are serviced daily with continental breakfast provided if required. The farm has access to a large area designated open countryside with a network of footpaths, bridleways & mountain bike trails. Horse riding is a very popular activity in the area and the property has stables which are available for visitors livery. All properties have fresh linen, a modern bathroom, cooker, dishwasher, sink, washing machine, microwave, hairdryer, television, hi-fi, safe, broadband internet access, outdoor barbeque and access to private woodland. Logs are provided for the open fires. A seperate drying room is available for laundry facilities. twin bedded and charged at a daily rate which includes a continental breakfast. Cottages have two bedrooms one twin, one double, and are charged at a weekly rate. Nestling in the picturesque Welsh countryside, The Mount Pleasant has undergone a period of extensive refurbishment during the past 5 years and has enjoyed visitors from all over the world. We are a 5 bedroom, fully en suite family run Inn located 18 miles from Cardiff and at the gateway to the Brecon Beacons National Park. Ideal for walkers and cyclists; we are adjacent to the famous Taff Trail; 10 minutes from the Welsh International Climbing Centre and the area is renowned for hand gliding and paragliding. 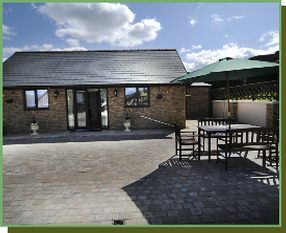 Facilities include fully licensed bar, restaurant, lounge and beer garden with panoramic views. We have 5 En Suite Rooms all with colour television and a hospitality tray. The Inn has been run by the same family for the last 10 years in which time we have built a good reputation serving fine ales and beer. We have ample car parking at the rear of the premises. When you visit, you can discover for yourself the excellent cuisine for which we are locally renowned. Nothing is too much trouble for us, with your enjoyment uppermost in our aims. The atmosphere is warm and friendly, yet efficient. Our menus are changed frequently to take advantage of seasonal and local produce, and to offer more variety. During your visit you may take lunch in place of dinner if preferred. We would be delighted to see you and can assure you that your stay with us will be a very pleasant and enjoyable one. Walkers & Cyclists Welcome. - Pet Friendly. Dogs allowed - always check before booking. 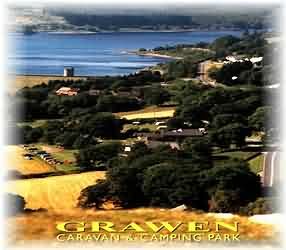 Grawen Caravan and Camping Park is situated inside the Brecon Beacons National Park with it's Mountain, Forest & Reservoir walks. We offer an excellent base from which to explore Wales. It's Valleys, History and wonderful scenery with easy access to the historic towns of Merthyr Tydfil and Brecon. In 2007, we will be open from the Early April to the end of October. Pre-booking is not always necessary but may be advisable at peak times particularly Bank Holidays Vehicle Parking is available should you wish to use The Grawen as your base for exploring the local Countryside.